"Essential update for Microsoft Office 2003"
If you haven't upgrade your Microsoft Office suite to the new Microsoft Office 2010 and you are still using Microsoft Office 2003, then we strongly recommend this service pack. Microsoft Office 2003 Service Pack 2 is an essential upgrade to your Microsoft Office 2003 suite, as it brings many updates and security patches to extend Microsoft Office 2003 functionalities and reliability. 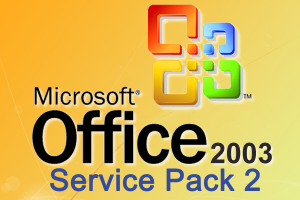 Microsoft Office 2003 Service Pack 2 improves the security, stability and performance of the programs that are part of the Microsoft Office 2003 suite, like Word, Excel, Access, FrontPage, Outlook and the other parts of this package. Worth to mention: there is a really important security patch regarding Microsoft Word, that prevents remote code execution. These and more minor updates are available in this service pack, strongly recommended to improve the overall performance of your Microsoft Office products.